Heard about the secret millionaire of Lake Forest, Illinois? I’ll assume not and recap. Grace Groner was born in 1909 and graduated from Lake Forest College in 1931, just about the worst year of the 20th Century to enter the job market. Luckily for her, she landed a position as a secretary at the then obscure firm Abbott Laboratories. She was a secretary there her entire career, retiring at age 65 in 1974. She never married and lived modestly. So far, it’s a story that could be called poignantly mundane. But add in a few more facts and it transforms into a personal finance parable that will be repeated, and probably distorted, for some time to come. 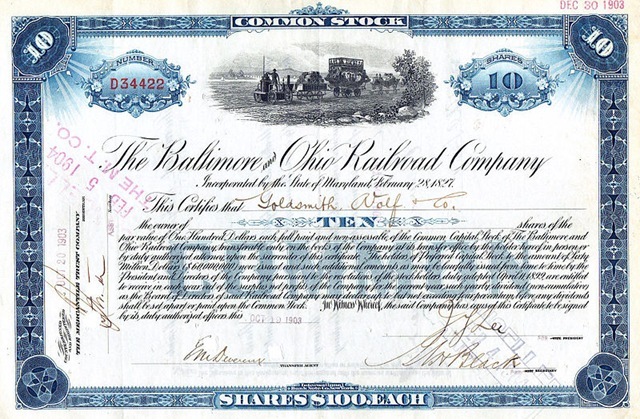 In 1935 Groner bought three shares of her employer’s stock. From that day on, she reinvested the dividends and never sold a share. She past passed away this January, having reached 100. Her estate, including what is now a $7 million position in Abbott, was left to her alma mater, Lake Forest College. The Weekly World News picked up the story. As did, on the same day, The Huffington Post and Wallet Pop. Then just yesterday The Wall Street Journal’s peculiar Wealth Report blog wrote about it. My crystal ball tells me we will be hearing about Grace Groner for a long time. To the Automatic Millionaire Mind Next Door crowd, she is an irresistible example of how a pittance saved when young can, when invested on a strict buy-and-hold basis, turn into a great fortune when old. In a fairly pointless effort to temper this, let me point out a few things about the story. To begin with, the single investment in 1935 left perfectly untouched and growing to $7 million in 2010 is implausibly tidy. In the 40 years from when she bought the shares to when she left Abbott she never thought either to sell some of what she had nor to buy any more? On the other hand, in the last decades of her life, how did she manage to reinvest all those dividends? I calculate that in 2009 she got $205K in quarterly checks, which would work out to a federal income tax bill of $31K. It is very hard to believe that a woman of otherwise modest means would, or could, scrimp enough to reinvest the entire $205K. Indeed, news reports say that in her later years she gave money to charity, including $180K to Lake Forest College. But for the sake of argument, let’s accept the Immaculate Reinvestment Theory. 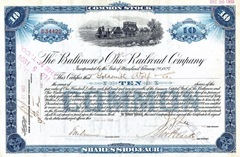 Groner bought three shares in 1935 for $180. That may sound like next to nothing now, but in 1935 it was real money, probably about a month’s take home pay for her. Saving that four years out of college and at the height of the Great Depression was not a matter of skipping lattes. Then there is the observation, made in a few of the linked articles above, that Groner did a lousy job of portfolio management. The mythmakers will say that you can’t argue with success, but by any objective measure her allocation of assets was foolish. Investing in the stock of your employer, as traditional as it may be, is generally a bad idea. Because you work there, you will be worse off if the company does poorly. There is no need to double down by buying the stock too. As the Sun-Times points out, many employees of Enron, GM, and Bear Stearns did this and wound up both unemployed and broke. Yahoo Finance only has stock data for Abbott going back to 1983. Using that I can back out that Groner had about $193K in Abbott stock then. (This assuming perfect reinvestment from 1983 to 2010. Since I don’t think that happened, I think she actually had considerably more.) In 1983 Groner was 74 years old. Does anybody believe that it is a good idea for a 74-year-old to have substantially all her assets in stocks, never mind in a single stock? It should be clear that Groner wound up with a small fortune in spite of some unwise decisions largely because of luck. Abbott turned out to be a good basket for all her eggs. Assuming $180 to $7M in 75 years is correct, that is 15.13% annualized return, nicely ahead of the 10.63% from the S&P over the same period. Then again, 10.63% ain’t too bad. As unlucky as it was to graduate from college in 1931, 1935 was a great year to make long term stock investments. But more than anything else, Groner was fortunate to have lived so long. Had she had the modesty to leave us in 1989 at age 80, roughly her life expectancy when she retired, the Abbott stock would have been worth a still impressive but not newsworthy $636K. Since she made it to triple digits, her wealth had the rare chance to further compound and she became the stuff of legend. The advocates of becoming rich from frugality will point to Grace Groner as an example of an ordinary person who became rich from modest living. If she can do it, anybody can. That is true. All you have to do is take inappropriate risks, get lucky, and live a very very long time. …and never actually get to enjoy the fruits of all this. At least the WSJ makes the same point you do, that you have to live a very very long time and be very very lucky for this sort of “strategy” to work out. As you pointed out in your Millionaire Next Door review, this is like Scrooge McDuck School of Personal Finace. You should have wealth so you can put it in a vault and swim in it, then one day die with it all. Actually she never got to swim in her piles of money, so Scrooge is one up on her. The main note I hope other blogs/articles take from this is that a lifetime of frugality and penny pinching was NOT responsible for her being able to leave so much behind. It was akin to a lottery win. Yes, tons of people do this… IF they’re not going to spend the money, in order to get as much stepped-up basis as possible for their heirs when they die. Perhaps she got lucky. Or, perhaps she actually knew what she was doing. Maybe she kept all her eggs in the basket because it was a strong basket. So you believe that 74 year old should have their entire net worth in equities? What if her one stock was GM, WAMU, BSC? It is not whether people do it, it is whether they SHOULD do this. Hmm.. I wonder if the untold story here is the nice little old lady’s 65 year long history of tax evasion? One detail in the story that I read about this, they referred to the stock as “special shares” but they didn’t explain what was “special” about the shares. I’m guessing that they may not have been simple common shares but some form of preffered shares or options or something like that. The question of whether the money should be “in equities” is different from the question of whether the money should be in single stocks. According to Modern Portfolio Theory, no one should ever own substantial amounts of a single stock. Of course the vast majority of 74 year olds should NOT have their entire net worth in equities. However, Frank is very often critical of one-size-fits-all advice. So it’s worth noting that many rich people in America face situations where having their entire worth in equities is a good thing. Thanks Chuck! It’s amazing what the eye misses when it sounds right. We just have the one data point here, and I’d hate to read too much into it. I don’t really know if Grace Groner died in comfort or penury–I certainly hope the former–so comparisons to Scrooge McDuck may be a bit wide of the mark. That she chose not to cruise the world every year or put a hundred-inch plasma television on her wall is hardly evidence of a life poorly spent. You never know whether people are putting a happy gloss on events, but if she was content, comfortable and healthy, what more could anyone want? She seems to have enjoyed playing the philanthropist in her retirement, and there are certainly worse vices than that. I’d like to be rich enough to leave something behind me when I’m gone, too. One of the issues I grapple with in my retirement planning is how much of my living expense I’m going to need to annuitize, and how much I can rely on managing my own investments. I don’t really want Grace Groner’s life, but she seemed to like it, and you could do a lot worse. @Craig – She died without ever having a spouse, children, or close friends, and shopped at thrift stores and lived in a tiny apartment; but yet had millions of dollars in the bank. Sorry to be judgemental, but this is the internet afterall, and that lifestyle is insane to me. If everyone lived that way, our economy would collapse from lack of consumer spending. I do applaud her philanthropy, it just seems that like everything in life she should have tried to be more balanced. And definitely done more while she was alive with the money. I’d hardly call her a role model for soceity or seniors as some of these articles have done. But, that is a choice that she made. And she was in a position to make very different choices, at least as far as spending habits go. I don’t see a reason to judge her poorly for preferring to act as if she didn’t have the money. As Frank pointed out, the bulk of the investment growth took place in the 20 years she could have reasonably expected to be dead. By the time she got to 80, she was probably quite set in her ways, and would probably have felt that the ways that she could have spent the money were wasteful. On top of that, it’s often harder for old people to spend money…my well-off-but-aging grandparents have found that they simply can’t find ways to spend all their money now that traveling, or even going shopping, has become a major chore that’s mostly beyond their physical capacity. Her lack of family and friends has nothing to do with her financial situation. Really, now. Was she unhealthy? She lived to be a hundred–in her own home, as far as I can tell. Was she unhappy? The articles I skimmed said she had any number of friends, was active with her church, and traveled extensively (I wish to correct my earlier comment on that point). The person quoted in one of the articles was described as her lawyer and longtime friend, and that’s hardly a contradiction in terms. My attorney is also a close friend–to the extent that I don’t always count the silver after their visits. Thrift stores? Good lord, I only regret that I don’t shop at thrift stores more often. I used to get the best suits in my college days for less than fifteen dollars a pop. This woman had her own priorities and lived in her own way, and you seem to be most eager to invalidate her life because she “died without ever having a spouse, children, or close friends.” You’re wrong on one of those points, based on the available evidence…and as for the rest–well, I’ll be blunt. This is the sort of thing that used to lead to witch trials. “Crazy old woman lives by herself without any family! She must be EEEEEEVILLLLL!” As you say, this is the Internet, so I am allowed to indulge in some hyperbole myself. I’ve always wanted to swim in money. I’ve been thinking quite a bit about age in the mythology of these multi-millionaires. It’s obvious Buffett would have been remembered to his friends and investors had he died at 40 or retired at 50, but it’s the extra couple of decades who make him a legend. Messing around with a compound interest calculator reveals that a low-fat diet and access to a swimming pool might indeed be the secret ingredient to an eight or nine figure net worth! The reason she shopped at thrift stores and was so cautious with her money was because she grew up in the great depression. It was her choice to live frugally. My aunt just passed away in November at the comparatively young age of 97. She had two children and a loving husband was very active in life and her church and charities. She lived in the original house she and my uncle bought in the early 1950′s. They also had a cottage in New Hampshire were they visited several times a year in the summer. Donated money to charities, visited their children’s homes, travelled extensively. They drove a beat up old car, never re-modeled or re-financed their house and were very happy. You don’t have to be on MTV’s cribs to live a happy and fufilling life, you can live the way you want, if you don’t get in debt or get greedy. So she did all that stuff. That was her choice. However, those who came through the depression didn’t always do things logically. It is true that one shouldn’t put all their money in company stock. This is one situation where it worked out. Good for her. My grandmother came through the depression. Now that I am trying to be stingy and save, I can see how illogical her choices were. For instance, no stocks, except some that was left by her second husband. The income from that was deposited in an ordinary savings account. She could have earned much more by investing differently. We had many disagreements about this. Ditto my mother. I would have thought the lady would have wanted to enjoy SOME of that money herself. I wonder if she had any other savings vehicles bu that one. I know this is the internet, but why always one way or the other? Sure, she lived her life the way she wanted. That’s fine; our life is the only thing we can truly spend freely. Feel free to judge her, I feel confident she doesn’t care, and didn’t care. However, don’t go offering it up as an example of how to live, because that’s plain bunk. She wasn’t living our life, and we not reliving hers. This is a amazing site you have! I will refer others about it I have been doing some good research about the odds of winning and I have found the secret lottery solution.